My hair is very complicated and most times trying to tame it gets very stressful. I could spend so much time on my hair and it would still look a mess. One thing I struggle most with, when it comes to my hair is the frizz. I usually experience it on the front of my hair and on the crown. This has always been a problem and I'm usually cool with trying out different products to fix this. As you know in previous posts, I've been talking about Notino. Their site offers a variety of beauty products and it's very affordable. That's where I got a hold on the "Matrix Oil Wonders Nourishing Oil Shine For Wavy And Curly Hair". The Matrix Oil Wonders is an oil that nourishes curly and wavy hair, while adding shine to it. It's suppose to tame curly and frizzy hair. Although it's suitable for all types of hair, curly and wavy girls will benefit more from it. This is a no rinse treatment, which means it stays in your hair. The matrix oil can also be used prior to washing or added to your conditioner. Matrix Oil Wonders makes your hair easier to comb and smooths your curls, meanwhile improving the quality of your hair. This oil contains extracts from fruits of the murumuru palm to hydrate your scalp, protecting the hair from free radicals. This also makes your hair smell good. This products costs $17.45 and the bottle itself is 4.2 fl oz. I have used this for a while and I'm very surprised at the results. Now I know I've said I'm experimental with the products I try, but sometimes they can be misleading. I'm glad I was wrong about this product. As with any product, you won't see the results overnight but I saw some difference after the second time. But after using it for awhile I could see a big difference with my hair. Like I said before my hair is very complicated and trying to find something that my hair doesn't fight against, is a struggle. So seeing my hair not as frizzy made me happy. One thing I really love is that my hair is so smooth and much softer. My process while using this oil is very simple. I apply the oil to my hair before washing, as well as with the conditioner. This ensures that my hair stays soft and easy to manage throughout the process. I've also used this to style my hair, which helps to keep it moisturized and hydrated. This is really good to use when your wearing your hair in a protective style. 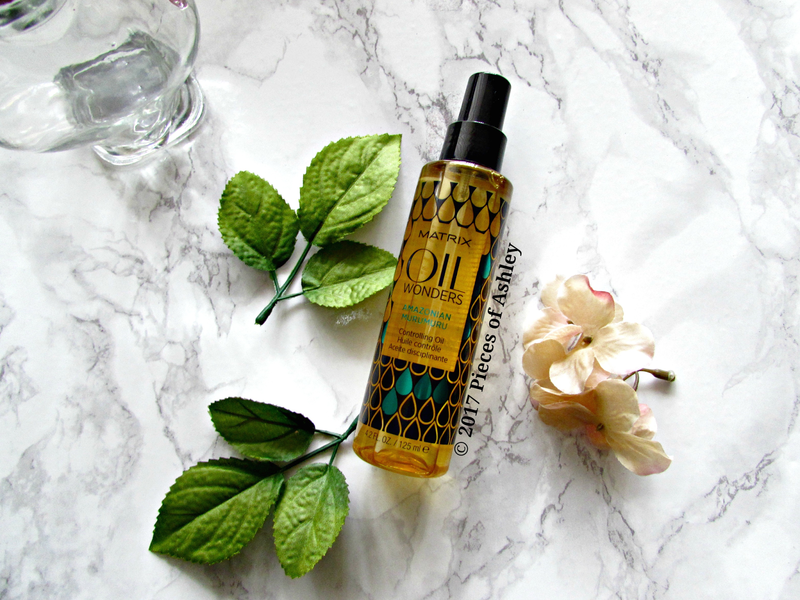 For example, when I'm braiding or twisting my hair for a, braid out or twist this oil helps. So when it's times to take my hair a loose, my hair stays shiny and moisturized! A lot goes along way, so this product lasts you a long time, which is a plus. I definitely recommend checking this product out, especially if you're a curly or wavy girl. I hope you enjoyed reading and let me know what products you like to use to stop the frizz!